It is really a treat to sit down at home and watch a film or TV show on a large-screen TV. Now 4K and HDR (High Dynamic Range) are usual, upgrading your TV means that films, sports and games all look brighter, crisper and more natural than you have ever seen them. With so many different models, sizes and resolutions to choose from, finding the best one for your needs and pocket is not always easy. This guide is here to help you and give information about each model. If you are planning to upgrade and buy a new Smart TV but are not sure which one to buy, or where you should begin, you have come to the right place. We have listed the top 5 Smart TVs available this year in the UK – in our opinion and will help you to choose the right one. A fantastic, economical 4K HDR TV set, Samsung UE55MU7000 offers outstanding picture performance for an unexpectedly low price, considering its traits and pros. Being several notches above Samsung’s mid-range models, and can only be beaten by Samsung’s pricey upgrade, the MU7070 model, and its QLEDs, which are considered its most advanced proposals when it comes to technical performance. Dwarfing almost all its competitors in its price range, and offering an overall brilliant performance and a variety of great features, Samsung’s UE55MU7000 rights gets the first place in our top 2018 TV sets. The Samsung UE55MU7000 features a nice and classy design, with the characteristic thin black bezel, has metallic silver side trim widening slightly at the end to hold the LED backlight module. Actually, when it comes to design and looks, the MU7000 has nothing to envy its more expensive brother – the MU7070 model – aside from some trifles here and there; for example, the MU7070 has a ‘Titan Grey’ stand and coating instead of the MU7000’s silver dye. Another difference, equally insignificant, is that the MU7000 lacks a 7070’s slightly better backlighting system. If you are asking me – and you do since you go through my review – the price difference is far too big for such subtle improvements. MU7000 is a far “better value for money” option. The TV is an edge-lit LCD with one strip of LED modules on the bottom border of the panel which illuminates the whole screen. It also includes a vast array of calibration controls, and wise tweaking makes it possible to attain precise colours in order to make the most of the high-definition effect. No screws are required for the TV’s feet, which simply slot into place. There are also alternate inner slots should you require the feet closer together to fit into a narrow space. Samsung’s UE55MU7000 boasts a generously upgraded UHD software, designed to turn a non 4K signal, into a far sharper image and ameliorated cleanness – an overall truly impressive visual result. Connections are all outsourced to an external ‘One Connect box’ with no less than 4 HDMI 2.0 inputs, each with its own 4K/60p and HDCP 2.2 support. Hence, you do not have to worry about cables getting mixed up at the back of your new TV. Note also that Samsung’ MU7000 comes with the firm’s brand new “One Remote Control”, which is considered, fully justifiably if you ask me, one of the smartest, most straightforward remote controls in today’s TV market. Great feel, compact, exactly the perfect size, it is designed to offer full control over an array of attached devices, allowing you to get rid of being surrounded by 10 remotes to manage all your different inputs and sources. The VA-type panel allows for strong, radiant blacks; however, if you are not sitting in front of the TV, you will see that colours lose their vibrancy and dark shadows appear grey rather than black. Making the most of its native 120hz, MU7000 makes sure all inputs prove a smooth experience. There are a couple of motion-enhancing features worth noting. Samsung’s 120 Hz panel can position frame interpolation or black frame insertion (BFI) which greatly improves motion clarity. The former, while being effective, can cause interpolation artefacts (these are noticeable as ripples or tears around moving objects). Films may appear too smooth, like a low-budget soap opera. The latter will appeal to perfectionists if they can put up with a slight flicker, which is actually less noticeable than the BFI implementations on other TV brands. There is occasional stuttering on scene cuts, especially when watching lower-quality interlaced broadcasts. This is not something everyone will even notice though. Using a respectable 40W sound system (2 x 10W, 1 x 20W), Samsung’s UE55MU7000 offers a sharper, much more lavish sound – far better than anything you can find in the lower 6 series models. Its volume will cater for all normal folks out there, getting amazingly loud before getting a bit distorted – at least for a TV inbuilt sound system; obviously, an external sound bar can skyrocket the whole experience. Samsung MU7000 is superb for Netflix 4K stream, Ultra HD Blu-ray and it also supports HDR10 and HLG (Hybrid-Log Gamma), as well as HDR10+ formats. After calibration, peak brightness is 560cd/m2, which is less than half of that on the best sets but is the average figure you should expect for this price of TV. The tone-mapping algorithm is beneficial, Samsung retains the full dynamic range which equals detail even in the brightest highlights. HDR colours appear natural and accurate. Another plus is the low input lag – 24ms in 1080p, 19ms in 4K HDR – great for playing reflex-based games. Unlike other LCD TVs that use VA panel technology, there is no smearing or ghostly trails across the screen when a dark object moves against a lighter background. Samsung 55MU7000 is a cut above and is largely free of these problems. Samsung gets full marks on the UE55MU7000’s quality by taking just as much care on this more affordable set. With this set, you are guaranteed a vividly better performance right across the board, thanks to the Samsung’s 120 Hz panel, great SDR image quality, appropriate HDR performance and low input lag. Whatever you decide, we can confidently state that the Samsung UE55MU7000 is one of the best all-around TVs you’re going to find for £1,000. Second in our list, the Toshiba 55U7763DB, which is a pleasant upgrade from Toshiba’s utter failure, the 49U6763DB model and whole 67 series. Boasting, a wide – colour – gamut panel, the 55U7763DB lacks HDR support but features a native 4K resolution, and an amazingly wide, 55’’ screen if you consider its price. It is the price that actually convinced us to overlook its drawbacks and includes it in our list. This TV is highly economical at only £579 and offers a 55” screen, 4K resolution and a wide colour range which are all in its favour. Although it doesn’t support high dynamic range (HDR) playback, it is rich in Smart features. Toshiba’s Smart portal offers access to about 50 applications including Facebook, Twitter, Netflix and YouView. The Toshiba 55U7763DB is lightweight, made of plastic but is slim and attractive to look at. It has a light remote control which is jam-packed with buttons. Setting it up is a snap. Its stand is pretty easy and simple to handle and mounting on a wall doesn’t require a bodybuilder’s muscles. As already mentioned, the Toshiba 55U7763DB models lacks a high dynamic range (HDR) playback system; this does not mean, though, that it is sort in Smart features. Toshiba’s Smart portal offers access to about 50 applications including Facebook, Instagram, Twitter, Netflix and YouView. You also get Freeview Play which gives access to the catch-up services of all the main terrestrial broadcasters in the U.K. On top of this there is a 7-day backward electronic programme guide which aids in finding shows you might have missed during the week. The Screen Share system ensures easy display of photos wirelessly from smartphones and tablets. You can also record video from the Freeview HD tuner to USB HDD. A further bonus is its connections: 4 HDMIs lead the way, these are backed up by 3 USBs and even a Scart socket! The extra colour range immediately makes pictures look more natural and cinematic. This is due to a wider tonal palette and because there are more subtle definition and delineation in fine blends. The native 4K content makes the image crisper because of its extra colour refinement. On the down-side, the black levels are not great. There is never anything like a true black, more like a greyness when something is meant to look dark. The issues with black tend to stretch to an abnormal glowing effect on the darkest picture elements. Another problem is the amount of backlight clouding which is visible during dark scenes. This includes backlight bleed coming in from the edges of the screen and areas of black level inconsistency in central image areas. In total, about 60% of the screen suffers which some degree of clouding, this is even visible over mid-dark shots. The various black level inadequacies can create a blue tone to infiltrate dark scenes as well. This TV is a fair to medium more upscale HD sources. Upscaled images look a bit soft and processed, and the system isn’t very smart at perceiving source noise from ‘real’ picture input. While the screen has a decent 4K resolution, it has trouble retaining the clarity when there is a motion to deal with. There is a loss of resolution when objects cross the screen. This is occasionally accompanied with smearing and lag. When using the TV from cold, this is more apparent. The sound is superior to most budget sets as well. The speakers are forward-facing which give the sound an enjoyable direct aspect. They give a well-rounded tone, and their soundstage spreads well beyond the TV’s edges. A rear-mounted woofer port creates a little bass as well. However, if pushed by a large explosion or pounding score, the bass is depleted and sounds a bit harsh. Despite this, the clarity from the other speakers holds up pretty well. The 55U7763DB is about average for gaming. The input lag measurement (the time it takes to render its images) when using its Game preset of around 49ms. This is sufficient rather than good and could slightly impact fast-reaction gaming. You can, however, do a few things to improve the image, but they don’t change anything too much. First, you can marry the provided picture ‘modes’ (including Cinema and Sport) to the content you are watching. Second, turn off all noise reduction because this heavily softens the picture. Third, keep the contrast below 85 to lessen the appearance of noise. Lastly, turn off energy saving and when watching films, set Movie Sense to Low and Film Mode to Auto. 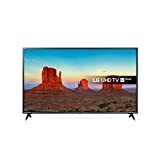 Inexpensive for a 55” Smart T.V. The Toshiba 55U7763DB is extremely economical. The extra colour range makes viewing more natural and cinematic due to a wider tonal palette and because of more subtle definition and delineation in fine blends. However, its black level and motion shortcomings are a definite drawback, but you get what you pay for. Sony’s KD-55XE8596 is the new kid on the block, boasting a long history of previous highly successful models. Featuring HDR support and utilising edge LED lighting with whole frame dimming, it has gained a reputation for upgrading the 85 series’ game for 2017, first by ditching the prior IPS panels and replacing it with a more contrast-rich VA one, and second by integrating Sony’s X1 4K HDR video processing. A simple design but has a nice appearance; the bezel is matte black and slim with the Bravia inscription in the top left corner and narrow silver trim. It is quite strong once assembled on a central rectangular stand which has a metallic looking finish but is actually plastic. All the connections on the TV are all on the rear left-hand side and include 4 HDMI ports. However, only HDMI input 2 and 3 support HDMI 2.0b at higher chroma and frame rates. You have to go into the user menu to enable them. The power cable is fixed onto the right side of the TV. If nothing else, the 55XE8596 makes the most of its native 4K/UHD resolution, mostly because of advanced technology and meticulous thought hidden behind the X1 chipset. Even more, interestingly, the native 4K crispness is not influenced by motion packed frames. True enough, Sony’s Motionflow processing does not rise up to the X1 version, but making use of the Standard setting to reduce judder without side effects is still possible, with the 55XE8596 remaining natural and clean during bursts of motion even with the Motionflow deactivated. Unfortunately, things are not so easy with high dynamic range images, coming from Ultra HD Blu-rays, Netflix and Amazon, with the brightness being a bit problematic – something though one could expect considering its price. This, in turn, does not allow it to deliver HDR’s legendary peak light highlights and refine shadow details in darker areas. Generally speaking, 55XE8596’s somehow low brightness has a slight impact on HDR session in fairly bright ambiences. This, however, does not mean that HDR’s traits are wasted, not at all. Even at low levels, HDR’s brightness is almost double compared to SDR, delivering a far superior visual experience. The 55XE8596 excels in delivering amazing black levels for a TV of this price, as well as wide colour ranges linked with most of the HDR content, obviously due to Sony’s advanced Triluminos processing technology, providing tonal saturation and intensities without compromising the sought-after subtleties that movie buffs love noticing. The sound is fair but would be better if supplemented with a decent soundbar. The TV’s Android Smart TV platform is adequately responsive but can get slowed down after some use. The Sony KD-558596 employs a VA-type LCD panel with true RGB subpixel configuration, resulting in a deep black that few others can beat but a narrower viewing angle than traditional LED sets. It has an edge-lit LED LCD with one strip of LEDs along the bottom border of the panel illuminating the screen. Even though it doesn’t offer local dimming, it dims the whole screen when needed. This technique known as a frame or global dimming is effective in enhancing the black level or letterbox bars in dark scenes and reduces spots of backlight clouding as well. At the same time, there is no increase in real time contrast. A constructive feature about frame dimming is that you don’t have haloing or blooming artefacts and hardly any banding or murky screen effect on brighter scenes. Colour fidelity is sublime, and the X1 processor is excellent with just a little darkening around the edges. Performance is decent on motion, slow-panning shots in 24 frames per second have no juddering and need no interpolation. The Motionflow technology presents fewer artefacts than other brands. DCI-P3 coverage is 95% and for HDR, peak brightness with an accurate white point at 380cd/m2 on a 10% window. This results in a below-par HDR performance when watching 4K Blu-rays. However, the overall HDR picture is appropriately bright. Panning shots are very smooth, and the Smooth Gradation technology reduces posterisation of banding artefacts. The input lag is 31ms in 1080p SDR (standard dynamic range) and 34ms in 4K HDR mode. Even the most competitive gamers should be totally satisfied with this. The Sony Bravia KD-55XE8596 is an outstanding SDR TV with the deep black level response, true colours, decent video processing and splendid motion handling. Although not the best at HDR this is the same with any edge-lit LED LCD with one strip of LED modules to illuminate the whole screen. LG’s OLED range has changed everything we knew in terms of model feature escalating. Instead of scaling each model’s visual performance as we move up the range, upgrading has to do with the aesthetic design and the built-in audio system. This practically means that if you are willing to couple one of them with a sound bar or another external sound system, the cheapest model of the series should cater for your needs just fine! And it is this one that has decided to present you in our number 4 position on our list. Note that is also available in a 65 version. The LG OLED55B7V is one of the best Smart TVs on the market which is reflected in the £3,000 price tag. The black bezel is appropriately slim, and the OLED screen has a brushed metallic silver trim. The bottom half protrudes slightly to contain the TVs brains, connection ports and speakers. The remote control is an oval wand which is easy to hold and has a Wii-like mouse pointer. It works very well with the WebOS 3.5 Smart TV platform. There are buttons for Netflix and Amazon as well. OLED has the most advanced panel illumination system, and the benefits of switching on and off to each of the 4K panel’s 8-million plus pixels independently are numerous. As well as absolute black, you get inky blacks without being washed out or contaminated by bright elements. Again, stands and screws are pretty straightforward, and its lightweight poses no problems even to a teenager. When it comes configuration, it seems that the LG OLED55B7V has thought everything in advance for you: it automatically turns into a different number of pre-sets, based on the type of programme you’re watching. Surprisingly enough, all pre-sets are well thought and pretty good; with some minor adaptations and adjustments, you can improve them even more. Four HDMI 2.0b ports with HDCP 2.2 compliance are provided so that you can hook up the equivalent number of HDR-capable devices like 4K Blu-ray players. You also get extremely wide viewing angles which do not suffer from any drop-off in contrast and saturation. In comparison with other TV brands, LG provides the widest support of various HDR formats, like HDR10, HLG (Hybrid Log-Gamma), Dolby Vision and Technicolor’s Advanced HDR. Or PS4/Xbox One S game consoles. One of the best aspects of this set is the above-black handling. The B7 can depict low-light detail with hardly any less noise and pixelation. The maximum peak brightness on full-screen white has been tweaked on the Automatic Brightness Limiter (ABLJ) algorithm to be less aggressive. ABL is circuitry that dims the screen as the average picture level gets higher. It creates optimal management of power, brightness and longevity. With reduced ABL, bright screens seem brighter. Peak brightness measured 750 nits on a 10% windowed pattern in the most accurate HDR preset, this represents about a 100-nit increase. The 1000-nit figure quoted by LG only applies to very small window sizes in the overly-blue HDR Vivid mode. While we always endorse adding an external sound system to most TV sets – with this one being no exception – its cleverly designed, downward-firing speakers and the inbuilt sound system won’t let down the average movie watcher – especially after considering that here you meddle with the series most inferior audio system. Soundstage lacks overreaching, but it is spacious, dynamic and clear for a flatscreen TV set of this price. This TV is the gamer’s dream come true. Input lag is at 21ms in the Game mode for both 1080p SDR and 4K HDR resolutions. PC gamers can also achieve this ultra-fast level of responsiveness with full 4:4:4 chroma reproduction with the right number of presets/settings. If you are worried about image retention or screenburn after prolonged gaming usage, be assured that this isn’t an issue, as long as you let the TV go into standby (rather than switching off from the mains), for the programmed uniformity compensation cycle to run periodically. The LG OLED55B7V gives really great sound for normal viewing, with speech clarity and decent dynamic range. Note: the onboard Dolby Atmos decoder only works on Dolby Digital Plus and not Dolby True HD tracks found on most Ultra Blu-ray discs. This is probably the best buy of the year. You really couldn’t get better value for money, the features, image quality, design, Smart TV and sound cannot be faulted. According to the manufacturer, the Sony Bravia KD55XE70 promises an immersive 4K HDR experience, offering remarkable contrast, lively colours and mazing 4K detail. True enough, their promise was not an idle one. My watching experience indeed felt closer to reality, regardless of what I choose to watch. Sony did its best to uphold its reputation even to some of its less distinguished – and more economical – models, like this one. Featuring 4K X-Reality PRO technology, it analyses and ups the quality of every scene through a pioneering image database system, designed to process contrast, colour and detail properly. The outcome is far superior to anything else at this price range. The Sony XE70 has a slim profile with a fine aluminium frame and slender bezel. The pedestal is plastic but looks metallic and is quite sturdy. The remote is a traditional one. Being much more than a Full Smart TV, it allows you, aside from TVBrowsing the web, to watch your favourite YouTube clips and enjoy popular apps right on the big screen, and program your TV to record your favourite shows, using a simple USB hard drive connection. Connectivity is certainly one of its strong points. It has composite inputs so that you can upgrade to the latest TV technology but still keep your Nintendo Wii. Three HDMI inputs are included (all HDCP 2.2, two HDR friendly), three USB ports and a digital optical output. There are Wi-Fi and an ethernet socket for a more stable connection. There is an LCD panel with edge-LED illumination. It supports 4K Ultra HD resolution (3840×2160) at 60p and 10-bit colour. The Sony XE70 supports basic HDR (High Dynamic Range). It is compatible with HDR10 but not broadcast-friendly HLG (Hybrid Log-Gamma) or Dolby Vision. You get Vanilla HDR10 plus YouTube, BBC iPlayer and Demand 5. Picture clarity is sharp and noise free when upscaling 1080p sources. With Ultra HD there is extra fine detail and texture plus vibrant, natural-looking colours. Contrast is strong which means a definite difference between shadows and brighter areas, which is remarkable. When switched to HD range, the XE70 automatically changes to the HDR preset. The result is that brighter areas have superior colour volume and visual impact with a slight lessening of black functioning. The picture settings have Advanced Contrast Enhancer and Black Adjust options. It is advisable to set both to medium and turn off the motion processing to avoid the overly smoothed, glossy low-budget ‘soap opera effect’. The game mode is really effective with an input lag of about 22ms. This is low enough for the most competitive of gamers. Just add a Ps4 Pro or Xbox One S.
Sound – The Sony XE70 puts out a wide soundstage, but its ‘virtual surround’ options don’t exactly fill the room. The sound is much wider than the TV it is coming from. Tonal balance is fine for regular viewing, but there isn’t much weight or dynamism in the delivery. To enhance loud film soundtracks, you could buy some good speakers or a soundbar. The Sony KD-55XE70 is an excellent value Smart TV for those looking for a taste of 4K and HDR. We hope our guide has been of some help and that you fully enjoy your new Smart TV. If this is your first Smart TV, you will be agreeably surprised at just what one can do. On top of the exceptional quality of picture achieved with 4K sets, most have built-in Wi-Fi that conveys Netflix, BBC iPlayer and Amazon Instant Video straight to your lounge without a load of cables and external streaming boxes cluttering up the room. You can watch films in 4K, HDR and watch any HD TV broadcast that you may have missed in the past 7 days, without the need for a PC, Blu-ray player or set-top box. When considering what size TV to buy you should decide how far away you intend to sit. To obtain the best results from a 4K HDR set, you should sit close enough to see the increased picture clarity. A 4K HDR which is too small for your room won’t give the full benefit. If you are uncertain what size you need you should measure the distance between where you will sit and your current TV. You will be surprised how close you need to sit to a 4K TV compared to your old conventional set. For a 55” 4K TV you should sit about 5 feet or less from the set. You should, of course, sit where you are most comfortable, the above is just a guideline but sitting further away you might not get the best results.